In this changing world, ACM SIGGRAPH requires a new and bolder vision. In response to this need, the ACM SIGGRAPH Executive Committee (EC) commissioned a diverse cross-discipline team to develop an overarching five year strategic initiative to ensure our organization and community remain relevant and continues to be recognized as the premier global organization for computer graphics and interactive techniques. The five year vision our strategy team brought forward is "Enabling everyone to tell their stories." As ACM SIGGRAPH is much more than the annual conference, the EC wants this vision to be the guiding light behind a number of tangible benefits that are relevant and tangible to our members throughout the entire year. A cutting-edge 21st-century digital presence would enable the organization to better focus on education and professional development for its membership year-round, leveraging the many grassroots efforts present in the community and exploring the upcoming digital platforms that will inform and mobilize our community. One of the many initiatives under the area defined as "grow and develop an active CG community and idea marketplace" is for the organization to create a moderated worldwide graphics listserv where computer graphics researchers and practitioners can learn about graphics-related conferences, exhibitions, submission deadlines, open positions, and news. This listserv has been created. To sign up, please visit http://listserv.siggraph.org/, click on the GRAPHICS-WORLDWIDE link and subscribe. This group is actively working with ACM on creating an ACM SIGGRAPH Proceedings of the ACM (PACM) for the specialized conferences which have stringent review processes comparable to those of journals. In the past, conference-centric publishing put the graphics research community at a disadvantage compared to other scientific disciplines because the significant work produced has not been recognized as such. ACM SIGGRAPH Specialized Conferences have demonstrated high quality and high impact on the field, and PACM will help recognition as such. 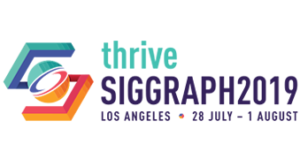 The new technologies program is creating a "Talk and a Coffee" program for the first session of each day at SIGGRAPH to provide an opportunity to hear expert researchers and practitioners from adjacent fields as well as graphics. The hope is that these talks will inspire us to think about new problems with applications that go beyond the traditional definition of graphics. Streamlining the organization has been an active project for the ACM SIGGRAPH Executive Committee for the last year, and has resulted in a set of suggested bylaw changes which after approval by ACM will be presented to the membership in a special election in January. 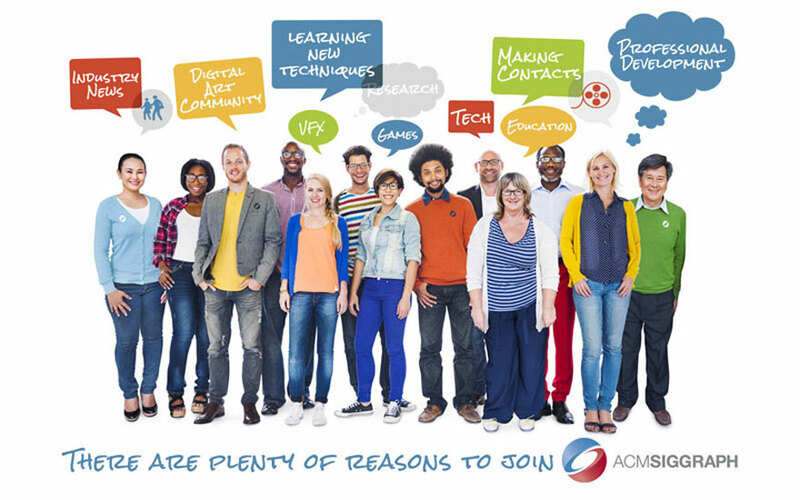 The aim is to get members to engage, participate or contribute, and become part of an elite organization who supports and helps throughout ones career. One way will be to limit the amount of volunteer hours needed to be president of the organization, and to increase the number of volunteers by highlighting opportunities to participate that only require between 40 and 80 hours per year. More information will be coming out in the coming months as the initial team continues to meet and solidify metrics and plans of action. More information will be coming on these ideas as well as the marketing initiative in the coming months as the team continues to meet and solidify metrics and plans of action.